Today marks the launch of Google’s high-end Android VR platform, Daydream, a major step beyond Cardboard and a serious competitor to Gear VR. 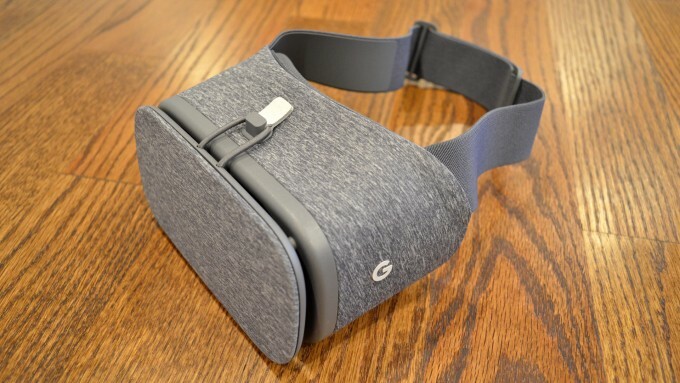 Google has been playing in the VR space since 2014 back when they launched the Cardboard initiative, a super low barrier starting point for VR which let people pair any modern smartphone with a $15 headset literally made out of cardboard. The company hoped Cardboard would act as a stepping stone to introduce people to VR, but it also proved to be a stepping stone for the company itself to become more deeply involved in the space. Enter Daydream, a reimagining of Google + VR which promises to close the gap between the not-so-great performance of Cardboard and the impressive capabilities of the Oculus & Samsung backed Gear VR. Cardboard still exists, but Daydream is what we hoped Cardboard would be all along: a high quality VR experience that’s baked into the core of Android. ‘Daydream’ isn’t a single product, it’s Google’s umbrella ecosystem for high-end mobile VR, under which falls Daydream ready phones, headsets, and apps. You’ll need one of each to unlock the high-end VR capabilities of Android 7.1 ‘Nougat’. While the company’s grand vision is to one day have a healthy set of choices when it comes to Daydream ready hardware, today the only options are the company’s Pixel and Pixel XL phone along with the Daydream View headset, the latter of which launches today for $80, undercutting the latest Gear VR headset by $20. 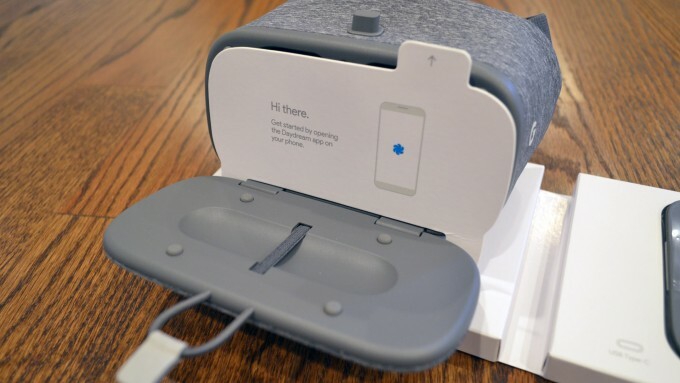 Unlike Gear VR, which is controlled optionally via a touchpad on the side of the headset or a gamepad, Google has added a basic motion controller with an accelerometer as the required method of input for all Daydream apps. Google’s Daydream, with Pixel phone and View headset, is a powerful opening act for what the company ultimately hopes will be an entire ecosystem of VR devices on Android. 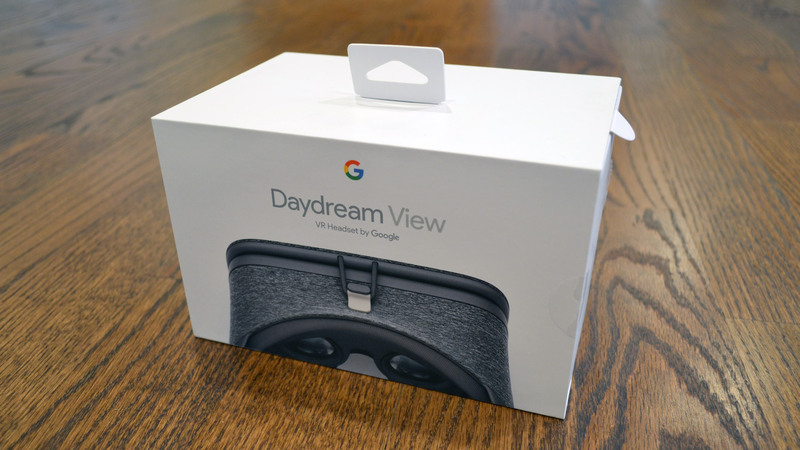 Daydream is, at this stage, a noteworthy competitor to Samsung’s Gear VR which has dominated the mobile VR landscape ever since its launch. The seemingly simple addition of a basic motion controller as a core part of the Daydream experience adds significantly to interactivity and ease of use in a way we wouldn’t have guessed. It’s still day zero for the platform, which begins with a humble launcher experience and just a handful of games and apps, but Google has laid a clear foundation for what could turn into a sprawling ecosystem with multiple phones, headsets, and a healthy app marketplace. Of the Daydream games out there right now, there’s nothing truly gripping, but when you consider the incredible immersive experience you’re getting out of a simple controller and a mere phone stuck inside an inexpensive headset, there’s a rather compelling argument to look at Daydream as a sort of game console replacement for the digital native generation who is growing up with smartphones as primary gaming devices. As developers learn to make new and interesting games that take advantage of the simple motion input, we expect to see titles with more staying power. 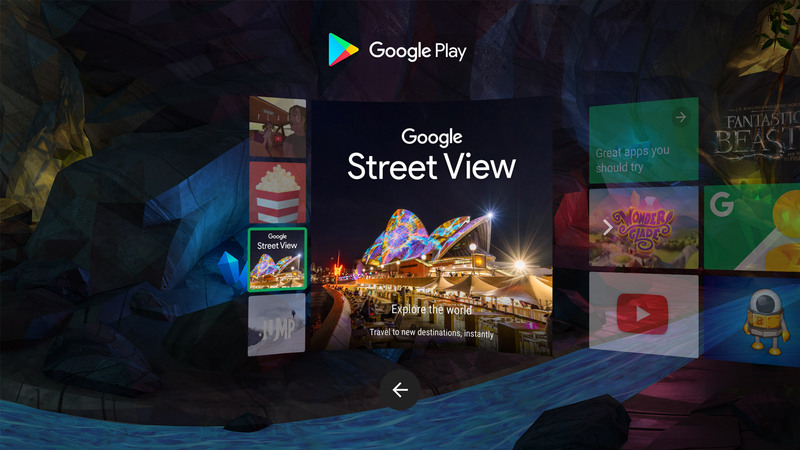 But for now, the full featured YouTube VR app officially from Google makes it easy to browse a growing library of videospheres and a massive library of traditional videos. Many a’virtual viewing hour will be burned inside YouTube VR; we just wish we could invite our friends to join us, as Daydream is currently lacking any compelling social VR experiences. 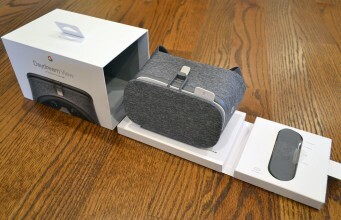 While the headset has some distracting glares (due to the headset’s otherwise smart adaptable design), few other notable visual downsides, and a slightly smaller field of view than its competitor, Daydream View performs admirably, far exceeding Cardboard’s capabilities, and matching that of Gear VR in many ways, including visual sharpness. At $80, Daydream View is a compelling proposition for any Pixel owner, a no-brainer gift for kids who like gaming, and a must-have for Pixel owners who are already VR enthusiasts. Is it worth choosing your phone just on the proposition of Daydream? If you’re already an Android user, it’s definitely a compelling tug in the direction of the Pixel, but Samsung’s draw to a Gear VR compatible phone could be overriding thanks to a more extensive content library at present. If you’re on iPhone, Daydream isn’t enough to jump ship for the other side just yet, but you might catch yourself looking over in envy. Not enough detail for you? Enjoy our 3,600 word deep dive below. With the Pixel XL in hand, getting started with Daydream and the View headset took just a few minutes. After unboxing the headset and controller, I launched the pre-installed Daydream app which ran me through a few updates to some VR services and other background software, and helped me effortlessly pair the Daydream controller and then gave it a wireless software update to the latest version. From there, launching Daydream is as easy as placing the phone into the headset (which is automatically detected thanks to an NFC tag), and pulling shut the elastic latch to launch into the Daydream experience. Putting the headset on, you’ll be greeted with a ‘home’ space which takes the form of a Daydream app launcher set upon the background of a cartoon forest with a distant waterfall, flowing stream, and chirping birds. If you’re like me, you’ll immediately hit the Play Store button to start exploring what Daydream apps are available. At launch, Google is releasing five first-party Daydream apps, with another five coming from third-parties. At present we’re actually seeing 19 Daydream apps available, but it isn’t clear if some of them are early-access. If not available to all right at launch, those extra nine apps will be launching soon anyway, among some 40 additional apps that will hit the platform by the end of the year. Navigating through the Daydream app store with the headset on was a breeze; it’s amazing how much—with the addition of a simple IMU-based motion controller—more natural the user-interaction is with the simple point-and-click interface of Daydream, compared to Gear VR’s awkward head-mounted touchpad (or even a gamepad). With the Daydream controller in hand, you get a simple laser pointer with which to make your selections, and a touchpad to quickly swipe through lists and text. The ‘Daydream app store’ is actually just the same Google Play Store that everyone on Android is already familiar with. This is great because it’s the same content channel that users know, and comes with the same capacity for reviews, descriptions, and a robust updating system to allow developers to improve apps over time. In VR, the Play Store looks a bit different of course, but you’ll definitely recognize it and breeze through the app install process which is as simple as ‘see app, want app, install app’. At the outset, Daydream apps are varied, but the choices are little thin. 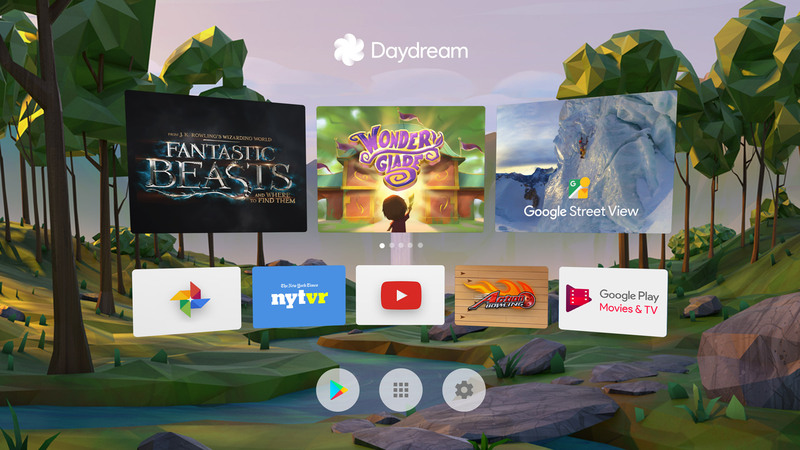 The ecosystem will come into its own as more Daydream apps become available, which should happen in significantly greater numbers in early 2017 as Google opens the door beyond select partners to all developers. Launching apps is a similar affair; a tap of the Home button on the controller returns you from the Daydream Play Store to the main launcher where you can see a list of recently used Daydream apps or open your entire library. To launch, just point and click. The Daydream experience is a massive step forward compared to Cardboard; everything runs better, the graphics are richer, the controls are more intuitive (and so far, much more consistent in their functionality), and the entire experience is pulled together in a more cohesive way under the umbrella of Daydream, compared to Cardboard apps which can’t be downloaded or launched from within VR. The post Google Daydream Review: Casual VR Closes the Gap appeared first on Road to VR.